Before you apply for a job, visit us and we'll help you create the perfect package to offer a prospective employer. Discover better strategies for job searching, learn how to evaluate job requirements, and align your skills. Make an appointment or come in during drop-in hours for help with job searching or application preparation. Learn about CODA, Evergreen’s online student employment database, and participate in mock interviews for on-campus jobs. 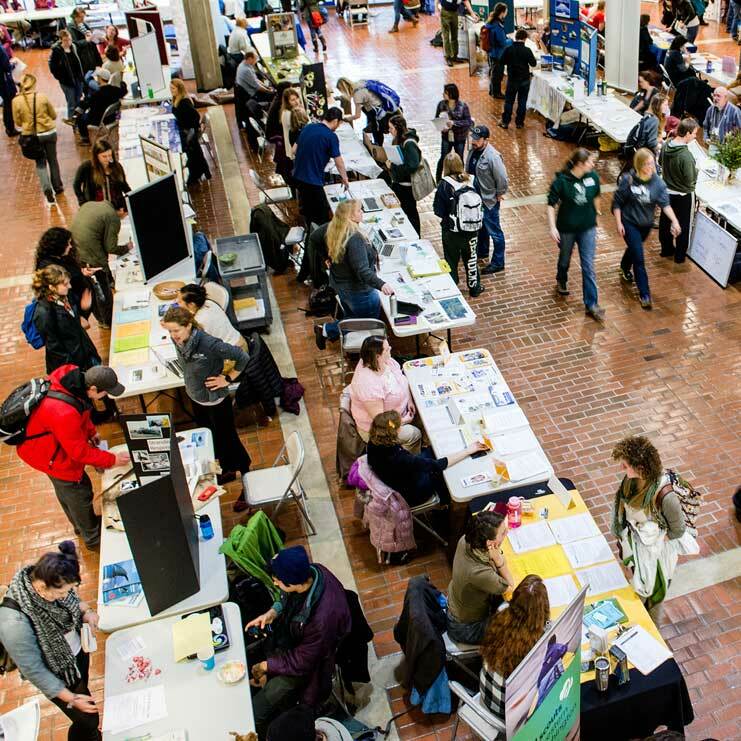 Find out what groups or activities will help connect you to the career you want, learn more about internships both on and off campus, and research which types of careers relate to your area of study. Between jobs? Transitioning careers? We'll help you decipher any additional skills you may need, then help you look for places to gain those skills. We also understand the frustrations around switching careers or jobs, and we'll help you navigate those feelings. We strive to inspire you, to be your cheerleaders and coaches, and to offer moral support. You can do it! Your interests, experience, and skills can be molded into a coherent narrative that speaks to the requirements of the job you're applying for. Optimize your education and life experience by pinpointing relevant coursework and translating your skills and interests to relate to the position. Creative cover letter? You got it. Interested in a specific job? Send us the job posting and we'll create questions tailored to the position. Then come in for a mock interview and we'll help you work out the kinks, talk about better ways to answer questions, learn how to present qualifications, learn what questions to ask the employer, and help you get over nervousness. We have the training and experience to help you market yourself in the best possible light. Contact us to get started. A Career Advisor can work with you to identify and market your skills. You can also come to workshops to learn these skills in a group setting. Connect with other students, hear their experiences, and think about things you may not have otherwise. Our goal is to make your job search as easy and exciting as possible!